Andres Roots Roundabout: Pre-Order The New Album Today! 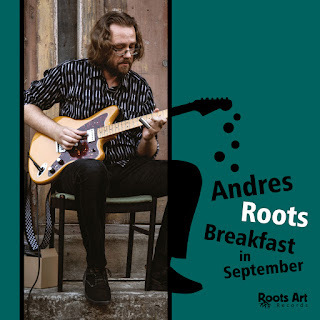 The new guitar-only Andres Roots album "Breakfast in September" will be released on November 30, 2018. Roots Art Records' pre-order campaign runs from October 1st through October 31st: order the CD in October to get your *autographed* copy delivered well before the Christmas rush for EUR 15.90, shipping included! Read all about it HERE.